The federal government says a Canadian who has been on death row in the U.S. for more than 30 years should be granted clemency because he has "reformed his life" and because he received poor legal counsel when he was convicted. The federal government says a Canadian who has been on death row in the United States for more than three decades should be granted clemency because he has "reformed his life" and because he received poor legal counsel when he was convicted. 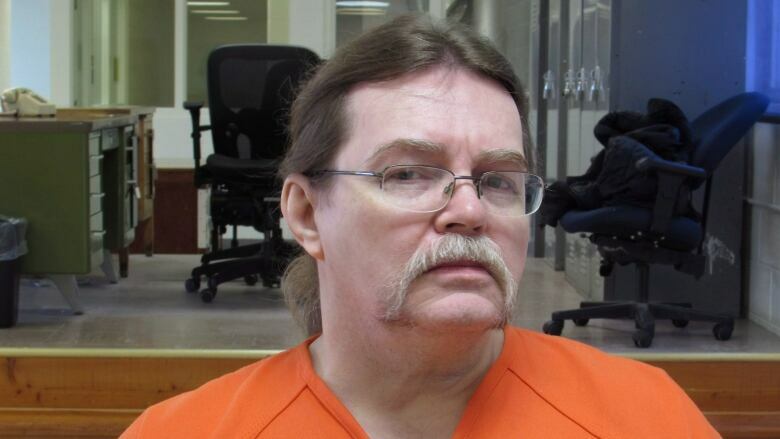 Ronald Smith, 60, originally from Red Deer, Alta., has been on death row since 1983 after fatally shooting two young men while he was high on LSD and alcohol near East Glacier, Mont. Smith had a change of heart and has been on a legal roller-coaster for decades. An execution date has been set five times, and each time the order was overturned. The Canadian government sent a letter to Montana Gov. Steve Bullock last year asking for clemency for Smith. The Canadian Press has obtained a copy of the request that was signed by then-foreign affairs minister Stéphane Dion. "While our government does not wish to minimize the gravity of the crime for which Mr. Smith was convicted, we believe there are unique circumstances that provide compelling reasons for granting him clemency — most notably the ineffectiveness of Mr. Smith's original counsel and his success in reforming his life," reads Dion's letter. "He has developed strong relationships with family members and has taken advantage of educational opportunities available to him. Mr. Smith has shown profound remorse and deep regret for his actions." Dion wrote there is "significant evidence" that Smith's original lawyer did not provide "competent representation" and spent only six hours on the case before allowing his client to plead guilty. "Mr. Smith's original legal counsel ... failed to investigate the facts surrounding the crime; failed to investigate Mr. Smith's mental state; and failed to discuss possible defences with Mr. Smith." The letter also notes the "unwarranted disparity" between Smith receiving a death sentence and his co-accused, Rodney Munro, who accepted the plea bargain and pleaded guilty to aggravated kidnapping. He was sentenced to 60 years in prison but was returned to Canada and released in 1998. "The Canadian government is also deeply concerned about the 33 years that Mr. Smith has spent on death row, living in solitary confinement and under the constant threat of execution." The Liberal position is a far cry from the stand of the former Conservative government, which initially refused to back Smith's calls for clemency. The ruling led to then-foreign affairs minister John Baird writing what one of Smith's lawyers called a "lukewarm" letter before Smith's clemency hearing in 2012. "The government of Canada requests that you grant clemency to Mr. Smith on humanitarian grounds." said the request. "The government of Canada does not sympathize with violent crime and this letter should not be construed as reflecting a judgment on Mr. Smith's conduct." Two members of Smith's family, including his daughter, as well as relatives of the two victims — Harvey Madman Jr. and Thomas Running Rabbit — gave emotional testimony at that hearing. "The decisions he made, he has to pay for," Running Rabbit's son said. "He had no mercy for my father." The clemency request hasn't been ruled on by two successive Montana governors. All executions in Montana have been on hold since 2008 when legal action filed by the American Civil Liberties Union was successful. The group had argued that a sedative the state was proposing for executions could lead to an "excruciating and terrifying" death. In an October 2016 interview, Smith said he was "ready to come home" if clemency were granted. "They've got their pound of flesh and, outside of what I did 34 years ago, I haven't been a troublemaker," he said. "I think I've shown what I did ... was an aberration. "It's not who I was."